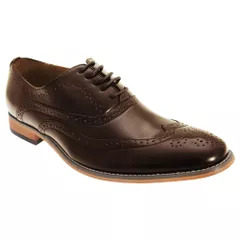 5 Eyelet Brogue Oxford Shoe. Leather Quarter Lining & 1/2 Sock. Upper: Other, Lining: Leather/Textile, Sole: Other.